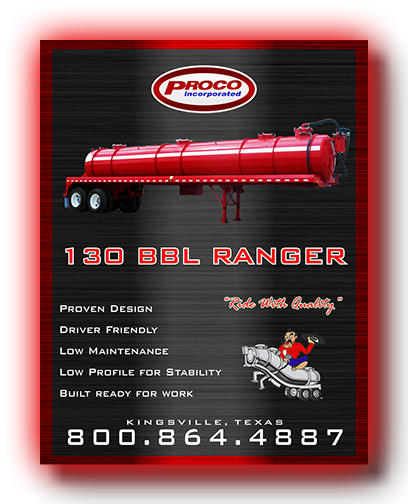 Proco vacuum trailers are built "Oilfield Tough" and made to last. With the variety of options we offer, you can have a vacuum trailer for your specific application. 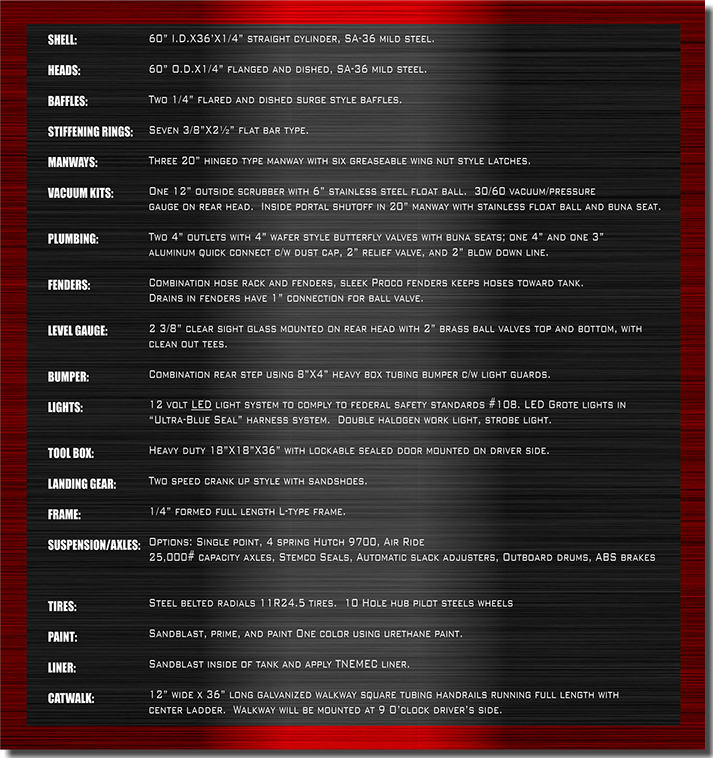 Give our friendly staff a call for more information.